Looking for something new from Jack Daniel’s this summer? Try the new Jack Daniel’s Country Cocktails. Here’s a rundown on these tasty drinks. 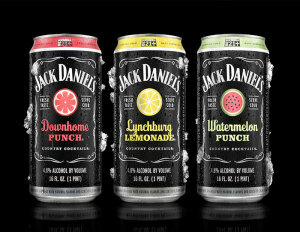 Jack Daniel’s Country Cocktails come in the following flavors: Lynchburg Lemonade, Downhome Punch, Watermelon Punch, Berry Punch, and Black Jack Cola.